More Product InfoThe 74X5-07112 is a Power over Ethernet Injector with one Ethernet Input (data only) port and one Output (data power) port that is designed for small or medium network environments. 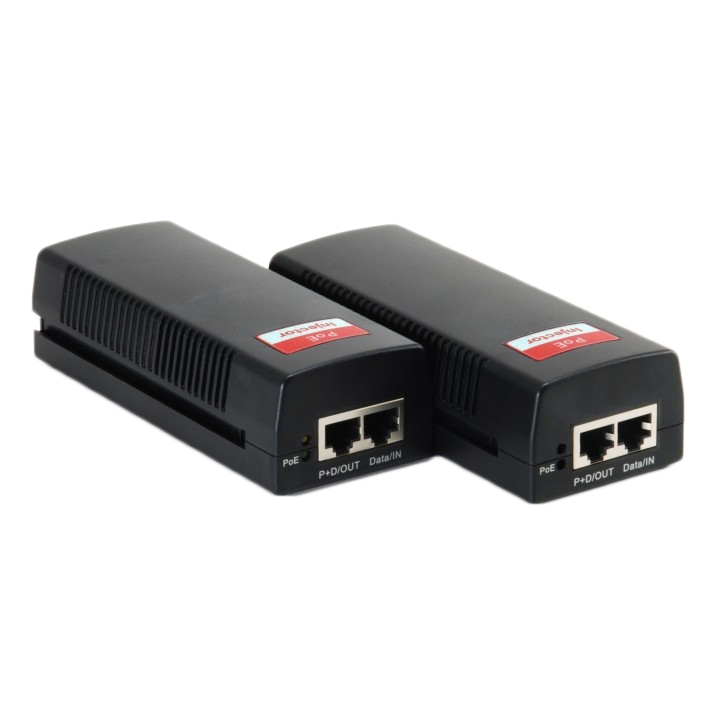 This product can convert standard 100~240V/AC power into low-voltage DC that runs over existing LAN cable to power up IEEE 802.3af compliant network accessories. It also features PoE awareness to verify whether the network device receiving power is IEEE 802.3af compliant, or only the data will be sent through LAN cable. 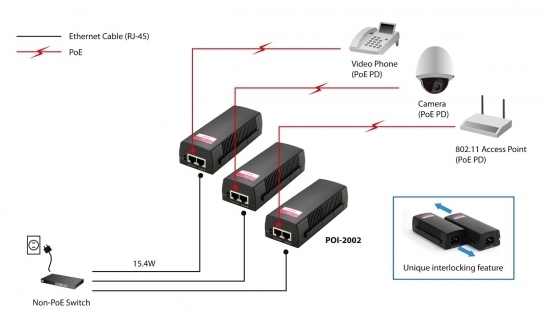 By adding a PoE Splitter (74X5-02112) to existing non-PoE networking equipment, installing networking products such as Access Points and IP cameras can easily be performed. Wireless device deployments are easily located without the need for power outlets and network administrators do not need to use AC power adapters anymore. Device speed is limited to 10/100 Mbps, it can be used on a Gigabit network, however, that leg will be reduced in speed.